To reduce IV medication errors and possible contamination, the Belmont’s St. Barnabas Hospital in the Bronx, NYC, just acquired a high-tech medication machine that uses robots to fill syringes, sanitize intravenous medications and make sure that patients receive the proper medication. When an error occurs with intravenous medication, harmful effects to the patient may happen faster and be more severe than errors with oral medications, due the direct administration into the bloodstream. 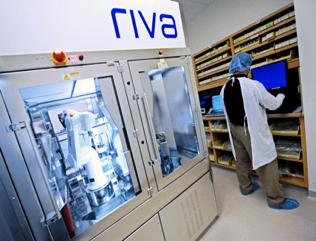 The RIVA system acquired by the hospital is a fully automated IV compounding system used by hospital pharmacies to prepare intravenous medication (syringes and IV bags) for general hospital needs, chemotherapy and pediatric needs.